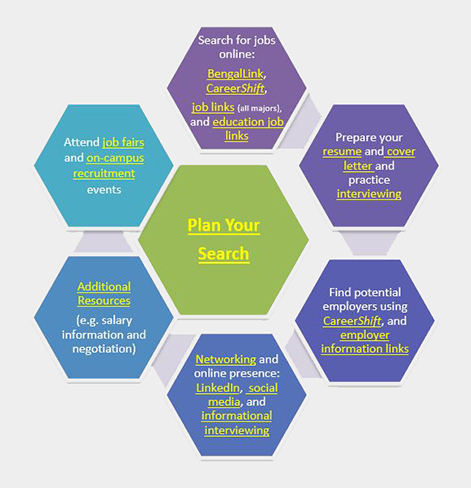 Preparing for a job search requires an awareness of your goals and skills, an understanding of the labor market, and a well thought out job search campaign. Taking the time to decide exactly what type of job you are looking for will ultimately lead to a faster and more successful job search. It is recommended that you start your search early, as a successful job search can often take months. It is also important to utilize multiple job search methods.